We are happy to welcome back Modern Dance with Annie Sailer to our center. Classes will be Monday nights, 6-7:30pm and possibly Wednesday nights as well. Stay tuned! 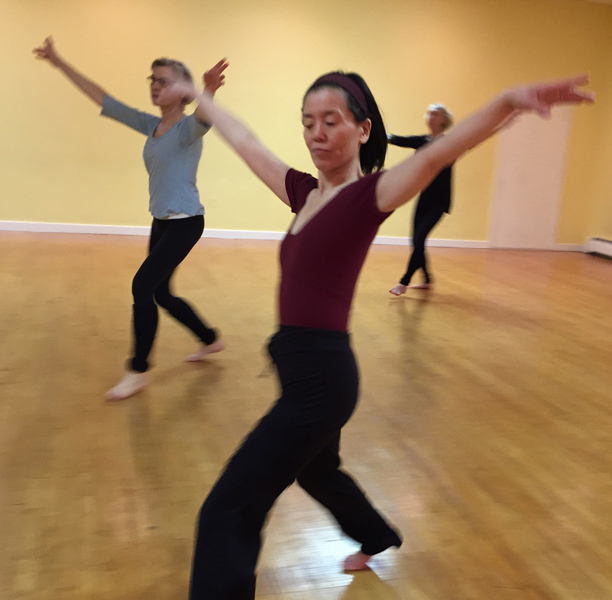 Annie Sailer teaches modern/contemporary dance classes in the New Haven area. The classes emphasize pelvis / spine initiated, free-flow, whole body movement and include a floor and standing warm-up followed by big, spatial movement sequences across the floor. All students receive individual attention to alignment and movement issues. The class atmosphere is friendly, non-competitive, and professional. Adults of all ages are welcome. No Fooling! 20 day Challenge BEGINS on MONDAY!